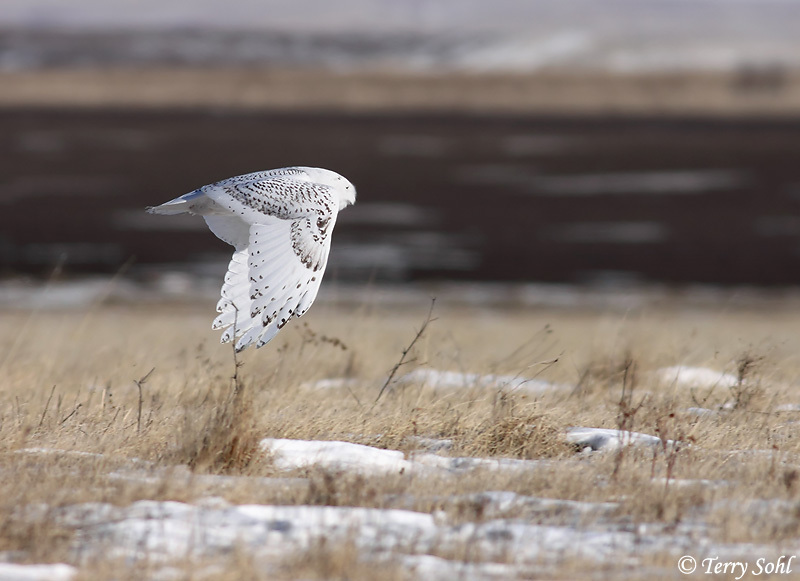 This photo of a Snowy Owl was taken on January 4th, 2009 on the Fort Pierre National Grasslands near Pierre, South Dakota. This is actually the exact same photo as Snowy Owl #4. This is what the original full-frame looked like, while #4 is just a different presentation with a tighter crop. Taken with Canon 50D, 400 5.6L lens.